Sen. Bernie Sanders (I-Vt.), a long-time critic of drug company pricing policies, has fired off a letter to Catalyst Pharmaceuticals asking the company to explain the price of one particular drug. Sanders says Catalyst charges $375,000 a year for Firdapse, a drug used to treat a rare neuromuscular disease called Lambert-Eaton myasthenic syndrome (LEMS). But the Vermont lawmaker says patients once received the same drug – known as 3,4-DAP – for free from Jacobus Pharmaceutical under the Food and Drug Administration’s (FDA) compassionate use program. Sanders says Catalyst licensed the rights to the drug and received exclusive rights to market Firdapse for seven years under the FDA’s orphan drug designation. At the end of last year, Sanders said Catalyst set the list price for Firdapse at $375,000 per year. Catalyst declined various media requests for a comment. This isn’t the first time a drug company has hiked the price of an existing, older drug. In 2015, in one of the first cases to cause public outrage, Turing Pharmaceuticals -- headed by a young hedge fund operator, Martin Shkreli -- purchased the rights to Daraprim, which at the time was selling for $13.50 a tablet. Turing raised the price to $750 a pill. Sanders, who has announced plans to seek the 2020 Democratic presidential nomination, called the price hike an exploitation of patients who depend on the drug. “By setting such a high price and forcing production and distribution of the older, inexpensive version to cease, you are threatening access that patients had to a cheap version of this product, and handing a completely unwarranted bill to American taxpayers,” Sanders wrote in the letter. Calling out drug companies over their prices is one issue where Republicans and Democrats might be able to agree in a bitterly divided capital. 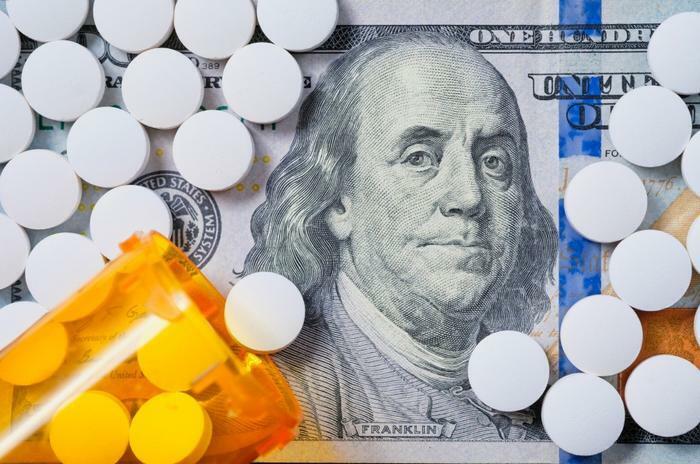 Both the House and Senate have scheduled hearings on drug prices, and President Trump has been highly critical of sharp increases in drug prices.